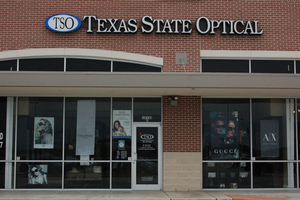 Conveniently located between Missouri City and Fresno in the Kroger’s shopping strip at the intersection of Highway 6 and the Fort Bend Tollroad, Texas State Optical – TSO Missouri City is open 6 days a week. Call us to make an appointment with one of our eye doctors to talk about your eyeglasses, contact lenses or specialty lens needs. Or just drop in anytime to browse through our large selection of designer frames or sunglasses. Welcome to TSO Missouri City serving South West Houston areas of Missouri City, Fresno, Stafford, Sugar Land, Rosharon, Alvin, and Pearland.